As with most things in new home construction, electrical requirements and specifications have improved over the years. New homes are safer than ever thanks, in part, to better electrical equipment, standards, and practices that go into a new home. In fact, according to the 2016 Ontario Electrical Safety Report, the number of fires where electricity was identified as the fuel of the ignition source has decreased by 42% between 2006 and 2015. I’m sure we would find similar numbers across the country in other provinces. While there still is room for improvement, the industry is heading in the right direction. An area that has dramatically changed in just a few years is lighting and the transfer to LED from incandescent. LED lighting lasts longer, produces less heat, and costs significantly less to operate. Who doesn’t like lower electrical bills (besides the power company?) Furthermore, some LED lighting can be installed with no electrical box required – a low-voltage wire is simply run to the fixture – resulting in quicker installation. And, if you want a light in a specific location, it’s easy to place exactly where you want it. Plus, wouldn’t it be nice not to have to climb that dangerous ladder every year to change the light bulbs in that fixture dangling above the second-floor stairwell? A new home construction trend we are also seeing more and more is home automation. Home automation is getting more attention from new home buyers. The options for running and maintaining your home with automation is endless – from simple temperature control, to unlocking doors, to turning lights on and off and security features galore. Much of those things can be pre-wired at the time of rough-ins to make hookup later an easy process. Make sure this becomes part of your planning discussions with your home builder. Home automation systems are great for energy management and cost savings. They also add an extra layer of security. One thing we at Miller Contracting have made a standard item recently is whole-home surge protection at the main electrical panel. 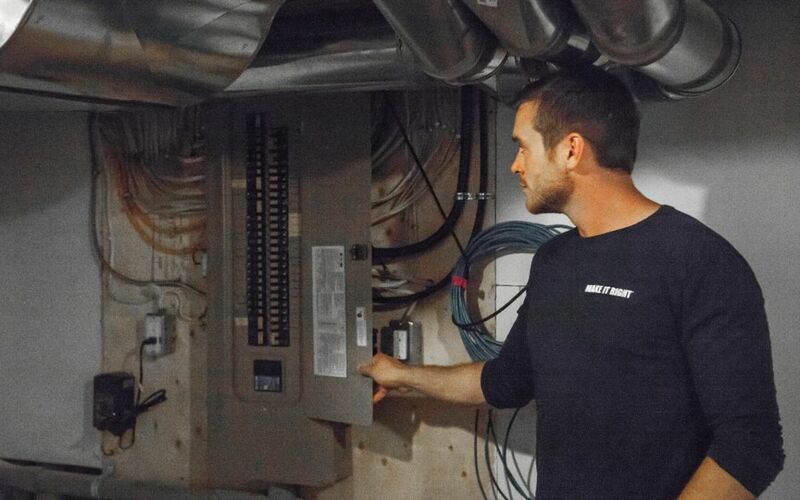 We prefer products from Eaton (a Holmes Approved Product) that get installed right at the panel. 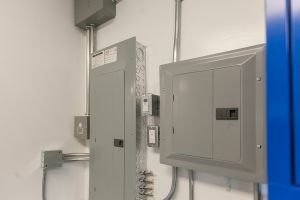 Why is surge protection important? Someone from Eaton asked us “What do you protect in your home with a surge protector?” Most of us answered “Computer.” The next question was “How many computers do you have in your home?” “Duh – one or two like everyone else.” Aha – gotcha. Everything has a computer now – your fridge, stove, microwave oven, dishwasher, clothes washer, dryer, and more. And, the biggest source of electrical surges in your home is …… your garage door opener! Every time your opener starts, it sends a surge through your system. Who knew? It’s those little surges over and over for a long period of time that damages your expensive electronics. In fact, Mike Holmes always tells the story of how he once lost $25,000 in appliances due to a surge. That’s why we partnered with Holmes Approved Homes, because they have relationships with experts who pass on their knowledge to us, so we can build you a better home. So, when it’s time to consider a new home, look for an experienced home builder who has access to knowledge so they can build you exactly what you are looking for in a new home. Remember, what’s inside the walls (and attached to your electrical panel) is just as important as the things you see. Happy New Year, and all the best in 2019!